Experience and luxuriate in complete Full Body Earthing while you rest and sleep, no matter what your arms, legs or body may be doing! Also no need to worry about bed bugs due to the naturally inherent antimicrobial nature of the silver yarn. Use just like any normal Bed Sheet, but gain and enjoy the benefits of being fully grounded at night. If you prefer something a little more expansive and luxurious than the Earthing Bed Pad, then this is the ideal alternative and high quality solution. Material is washable using gentle detergent with Wool Mark and can be ironed on synthetic setting. 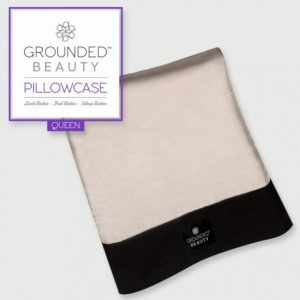 The Earthing Pillow Case is made with 50% Silver Yarn and 50% Polyester. The Earthing Pillow Case is around 20″ by 32″ and is conductive on both sides. 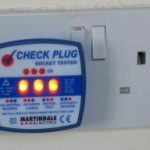 You can buy them with Mains Earth Connections, or without if using them on top of a Fitted Earthing Sheet. However, for longevity, we strongly recommend using them with their own Earth Connection. This will extend the life and conductivity of the Pillow Case/s. We offer a special Earth Bonding Plug (with all Pillow Cases ordered with Connection Kits) that will accept three (3) Earth Lead Connections, so you can Earth your Sheet and two Pillow Cases with just one (1) Earth Plug. So if you already have an Earthing Sheet or Cocoon, then you can still use one or two Earthing Pillows on your existing Earthing Sheet whilst still only using one Mains Earth Socket connection. You will not need any extra Outlets to Earth the pillow cases! 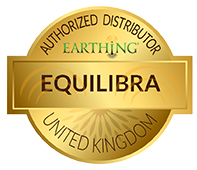 The Earthing Pillow Cases compliment all ‘sleep-earthed’ systems by directing Earthing to the upper back, neck, head and sides of the face, as well as contributing earthing levels to the whole body. This enhances your Earthing experience whilst sleeping or resting. Flexible Earthing Mat & (Band) Kit for the Home and Office. Put you feet on the Mat, sit on it, rest your forearms on it while using the computer. 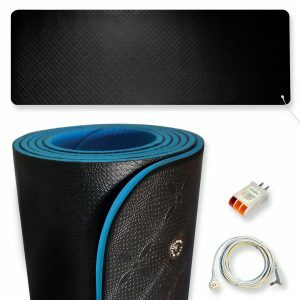 27″ x 10″ – The Earthing yoga mat is 100% PVC-free and Latex-free. It has an anti-slip surface, and measures 61cm x 183cm (2ft x 6ft). Traveling whilst sitting in a Faraday Cage like a Car, Bus, Train or other road vehicle, puts a lot of strain on the body due to high levels of Static electricity being created by any movement on the seats, and also the high levels of electrical radiation being stored by the vehicle itself. This is why some people feel so tired and worn out, especially after long journeys. Super King Size Conductive Area 78″ Wide x 80″ Length so will cover a bed up to 6′ 8″ x 6′ 6″, Queen Size 60″ Wide x 80″ Conductive Surface so will cover a bed 6′ 8″ in length x 5′ wide. Each edge of the Sheet has an 18″ pocket that wraps around the mattress and tucks under to hold it in place securely – approximately 16″-18″ deep. 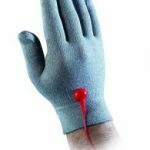 To easily check Body Voltage ground the Black Lead (to radiator or Earthing Product or Ground Plug) and hold the Red Lead between finger and thumb, or place on bare skin on the body. Take a reading while not earthed. You may need to adjust the AC Voltage Range by pressing the Range Button to obtain a reading. Then test again while feet are on the Earthing Product to see how much Body Voltage has been reduced by. Using an Earthing Mat for example, you should see the AC Voltage reading drop into the low mV and to even 10ths of a mV. Can also be used to give an idea of the Resistance (therefore conductivity) of the Earthing Product. Full instructions provided. Will also measure the flow of Free Electrons into the Body.